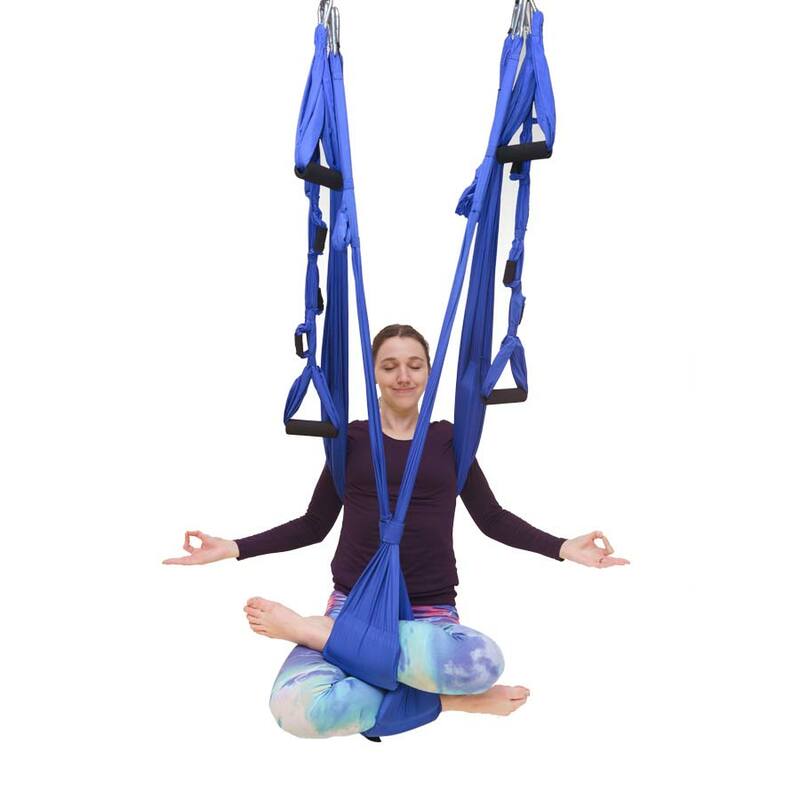 The Omni Swing Pro is the cushy supermodel of all the Yoga Swings. Contains a cushioned sling saddle and padded foot stirrups made for comfort and durability. Short handles – Two 12″ long handles. Made for placement adjustability. Long handles – Two 30″ long handles. Height Adjusting Loops – Integrated loops sewn right into the long handles. 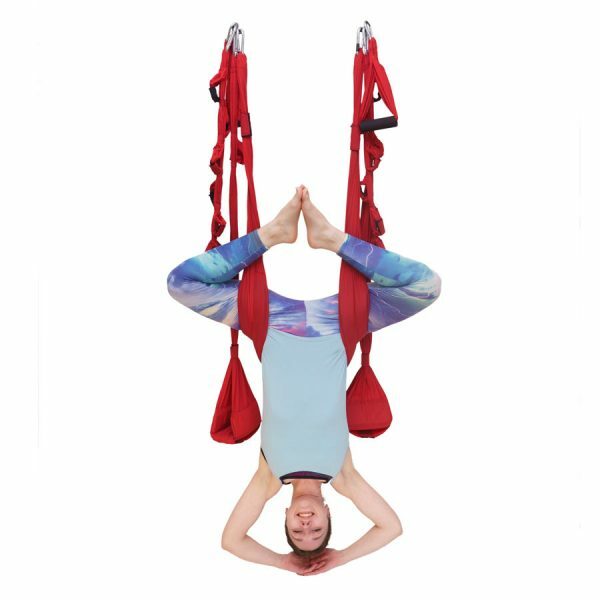 For easy height adjustment of sling and short handles. Padded Foot Stirrups – Double your usability by being able to cushion the feet, knees, thighs, forearms and shoulders no matter how you use your swing. Cushioned Sling – 4ft wide x 8ft long.Cushioned sides for extreme comfort. 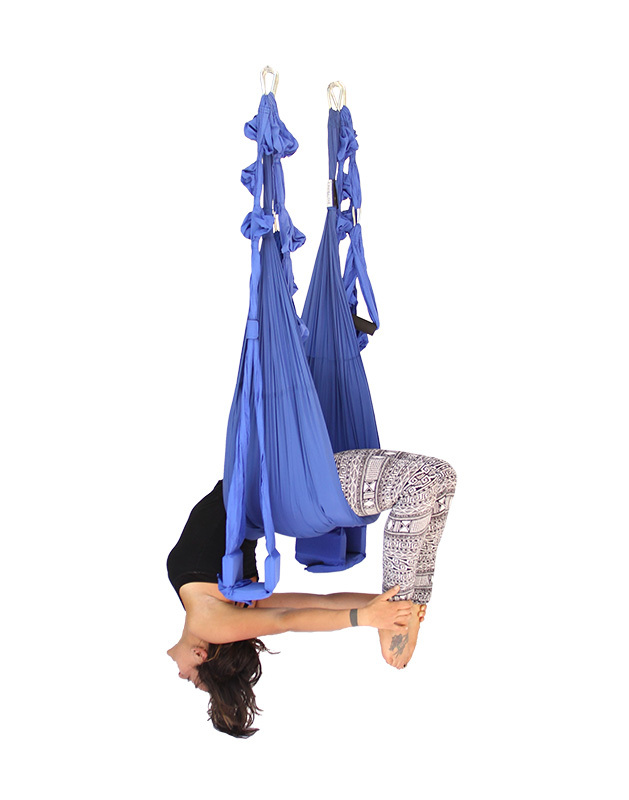 Central sling seat remains unpadded for compact stowing and travel purposes. Fabric Cinche Sliders – On sling and handles. No uncomfortable plastic sliders that dig into the skin like the copycats. 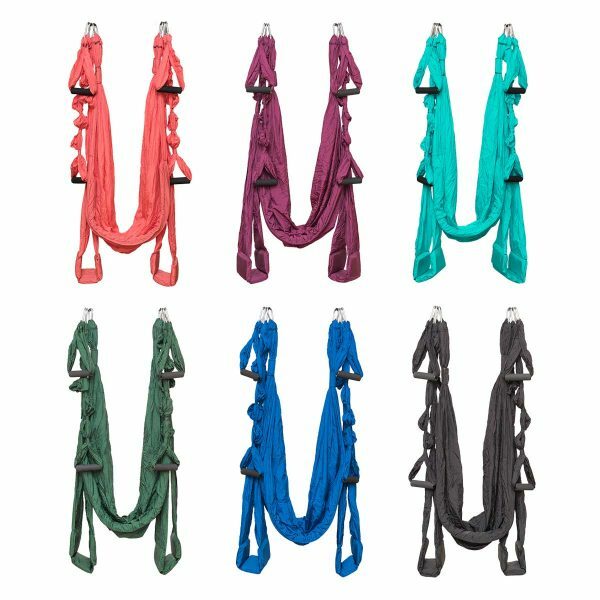 Safety Clip Hooks – For easy setup and height adjustment of sling and handles. Tote Bag – Pack up your swing for easy transport. Fabric – Made of strong yet ultra soft Rayon. 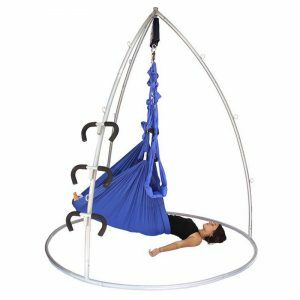 Electronic Instructions – Detailed instructions about the swing and how to set it up will be emailed after purchase.